Welcome to our Spring newsletter. 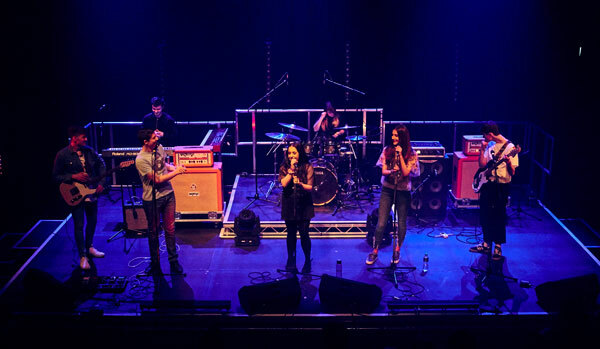 As you’ll see below, students have been involved in a wide range of performance activities, external projects and masterclasses with leading industry figures – including musician/actor Toyah Willcox and playwright Tim Firth. Thank you to all who attended our two Parents’ Evenings. We are currently finalising the plans for the end of year celebration event for Year 13 learners which will take place on 26th June. In the meantime, I hope you enjoy reading about some of this term’s highlights. 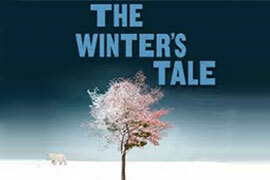 Our Spring/Summer performances this year are Adaptations, an as-yet-untitled dance show, Kes, Shakespeare's The Winter's Tale, and musical Our House by Tim Firth. 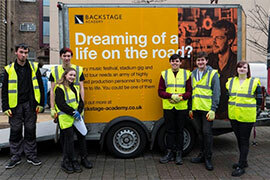 Production Arts and Sound Technology students were visited by the Backstage Academy, which gave them a taste of life on the road as a member of backstage crew for live events. 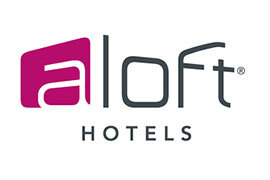 A number of our music students gained valuable paid work experience performing at one of Liverpool's top hotels. First and second year dance students performed together for the first time in February's Dance Showcase, performing four sell-out shows over three days. 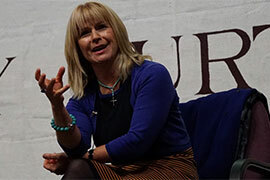 Students took part in masterclasses with musician and actor Toyah Willcox and playwright Tim Firth. 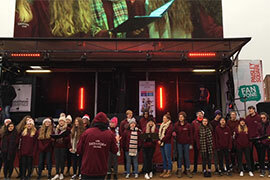 A choir of 45 students performed to tens of thousands of people after being invited to sing carols at one of the region's biggest sporting events, supporting the Merseyside derby. Production Arts students worked with one of the country's most prestigious venues as they took part in the Royal Opera House Design Challenge, designing sets and marketing materials for a real-life production of Salome by Richard Strauss. 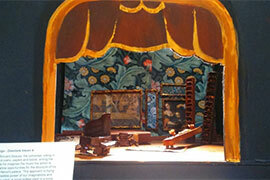 Students produced model boxes, marketing plans and poster designs for the production. Ree Hopkinson McNay is our newest Parent Governor - we're delighted to welcome her to LIPA Sixth Form College, and look forward to working with her over the coming months. 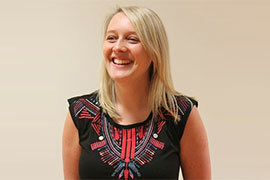 Steph is Programme Manager for the Acting course here at LIPA Sixth Form College. 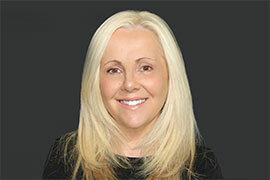 She has a track record of developing the curriculum to create opportunities for industry standard projects. Copyright © 2018 LIPA Sixth Form College, All rights reserved.